Notify the buyer(s) of these products that company XYZ is selling product in the US that violates your patent via certified communications. Always include the patent numbers in any communication. Notify the manufacturer they are violating your patent protection in the US and ask them to cease selling it. Consider offering to license the technology to them at a rate equal to your gross margin on the product as a starting point. Document all verbal communications that you have with any buyer or the manufacturer. When you have these verbal communications, there should be another person present, such as your CFO or sales person. You should also email a summary of any communication to the person(s) you were having the conversation with and the witness. This gives you trace-ability. Do steps 1,2,3 on a routine basis, such as monthly or quarterly. This is very important, because it will play a key role later on in the process. Each time you communicate with the buyer or manufacturer, and they either ignore you or tell you to take a hike, escalate it to the next level the next time you communicate with them. People don’t want to be embarrassed, but they also need to know that you are committed to bring this to resolution. In the case of the buyer, never make any accusations about who did what. Only report the facts and your commitment to protecting your IP. In each communication, reaffirm the findings of an outside expert and the conclusions of your patent lawyers. Make each communication in laymen’s terms. Be sure to cover the salient points your counsel wants you to make, in your own words. This allows you to be the focus of the discussions. Contact your local representative of congress on the state and federal level. Elected officials care about these types of issues and it is likely that you may get their help with additional resources. Have a discussion with customs officials. A quarantine of the product at the port will put many people in a bind, allowing you to come to their rescue on your tems. Consider a discussion with the Justice Department who has a task force in Silicon Valley that is focused on IP protection for companies. See if you can communicate with the import/export regulators of the country in which the offending manufacturer resides. Use social networks, list servs., business bloggers, press releases, LinkedIn, Twitter, Facebook, etc. to communicate to the world that you are standing up to your rights by fighting this infringement. You should also use the services of expert resources that are willing to provide you with additional information and ideas. Many internet sites have question and answer sections that will allow you to ask for help and ideas. It also virally spreads the word. Don’t name names, only communicate that you are taking action. Get the local newspaper, Chamber of Commerce, business journal, etc. to report on your dilemma. In every case, make sure the offender(s) get a copy of anything that is printed. You should focus on the newspapers and bloggers in the geographical locations of the offender(s) and their corporate and regional headquarters. Make sure that that you comment on unique identifying marks that everyone can see in these articles. As a senior executive, if I saw such an article about infringement, it would only take a few moments for me to send a note to my supply chain executive to ask if we were buying any of these products, or if the product we were manufacturing infringed on someone else’s IP. The power of the media and social networks for this type of cause is relatively new, but there is ample evidence where social media has been used in such cases as Vacation Rental By Owners (VRBO) and AT&T in the IPhone debacle. With a properly tailored campaign, you can enlist fans, followers and sympathizers to help defend your position. This also highlights your business, potentially identifying new customers and incremental sales. So everything has failed and you have decided to sue both the manufacturer and possibly enjoin the customer(s). Here are some thoughts to consider. Recognize that any of the actions above, need the guidance of an IP or business attorney. If you have decided to file a suit, make sure you have engaged a legal firm who has significant experience in settling international IP disputes. Your choice of the legal firm to use will have a huge impact on a defendant’s view of the cost of litigation and the likelihood of losing. Understand the potential risk reward equation for the customer(s). If they are saving $0.50/unit by buying it in China and they buy 2-3 million per year, they are going to be willing to spend a lot of money defending these economics. This will help you and your legal counsel prepare a budget. If you are found to be wronged, the steps you took in documenting your communications and the decision by your customer(s) to continue using product that violates your patents could make them liable for treble damages. If that is the case, you will be able to get the notice of contingency IP firms. The potential for treble damages will certainly be part of the risk reward analysis the customer will undergo. See if there are any private investment groups (PEG’s) who specialize in acquiring the rights to potential IP lawsuits. File the suit in the US against the foreign manufacturer, which confirms your official intent to fight this in court. Of course, you want let your customer(s) know that you have done this. You may find that the foreign manufacturer will not be willing to defend themselves in the US, possibly allowing you to get an injunction, ultimately leaving the customer in a lurch: One for which you would gladly help them out on. How well do we protect ourselves in our documentation, communications, presentations and other printed matter? Do we routinely remind our employees that their knowledge is the intellectual property of the company? When a new product is launched, are customers and vendors asked to sign non disclosure agreements? What is the policy for sharing information about the company on social networks? Do products properly display patent numbers? What do you do when an employee leaves? Is there specific training that could be provided to employees which is focused on protecting your IP? Conclusion: There are many instances of violation of IP worldwide. Some countries are much more sympathetic to the legal protection of someone else’s intellectual property than others. When confronted with a violation of your rights, which you worked hard for and paid a lot of money to develop, you have to take significant actions, otherwise you are setting a bad precedent in the marketplace and putting a bulls eye on your company’s IP and sales. Be prescriptive in your approach and seek out the advice of competent experts. The expertise and experience of senior level executives from around the world concludes that you can defend your rights through a well choreographed campaign that includes significant communication, and a controlled escalation of the issue, prior to going to court. Most of the items outlined have little cost, but require a significant amount of your time. Although your time is has significant value, using it is a better option than a lawsuit which will also consume a considerable amount of time for you and your staff and require considerable cost. This approach may ultimately result in a better relationship with the customer and a better understanding in the industry of your company and its technologies: A win-win all around. 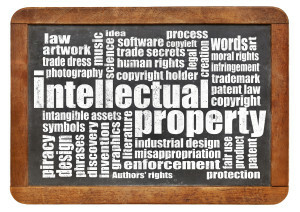 It is important to be proactive in the protection of your company’s intellectual property. The cost of defending it could be very high, while the cost of protecting it is very low. Being proactive requires discipline throughout the business, but has the potential for being the highest return on investment. When everyone throughout your supply chain, including customers, vendors and employees are continuously reminded of the importance of IP to your company, they will think harder about stealing it, and also be more careful about what they divulge to others. As part of Group50 Consulting’s Company Physical® we have developed a business level audit for Intellectual Property. Depending on the size of the business, it generally takes a couple of days per site. The audit covers every functional area in the business and provides the executive team with a complete review of their employed tactics in protecting IP. About the Author: Jim Gitney, wrote this article in collaboration with 50 contributing members from businesses around the globe. Mr. Gitney is also the CEO of Group50 Consulting [www.group50.com] which provides interim executives and project resources to its manufacturing and distribution customers. Mr. Gitney combined his 30+ years of running large corporate organizations and small companies to write this article. For further information about Group50 Consulting, please feel free to contact Jim at jgitney@group50.com or call (909) 949-9083.